The information presented on this page was originally released on April 19, 2012. It may not be outdated, but please search our site for more current information. If you plan to quote or reference this information in a publication, please check with the Extension specialist or author before proceeding. “Goat meat is the most popular meat for consumption in the world,” Ryals said. “It is becoming more popular in the United States because of the increasing immigrant population. Goat meat is actually considered a gourmet product, and we sell a lot of it to restaurants in the New Orleans area,” he said. Brown said all meat goats are eventually used for the meat, even if they are raised as show goats. “Most people who have dairy goats use the milk, and some of the producers sell their goat milk products,” Brown said. 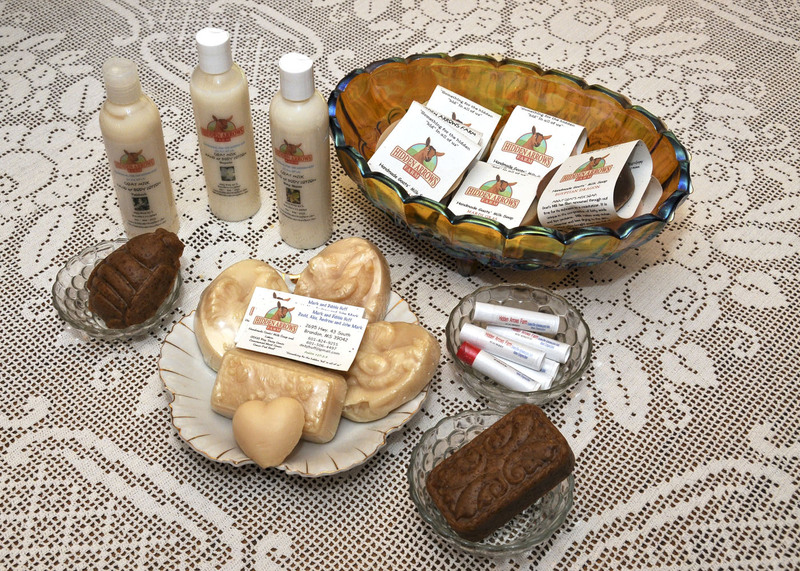 Mark and Debbie Huff of Brandon use the milk from their four sons’ show goats to make a variety of products they market locally, such as soap, lotion and lip balm. Debbie Huff said her soap, sold by several merchants in the Jackson area, is a steady seller. The Huffs make 140 to 160 bars of soap one to two times per week, depending on demand. Consumers seek out other goat milk products for the some of the same reasons. The Ryals added dairy goats to their dairy cow operation four years ago and produce milk and cheese from both cows and goats. They use no hormones, steroids, antibiotics or growth enhancers on their animals. Ryals said their goat milk and goat cheeses are extremely popular. The Ryals make fresh chevre, aged cheeses, aged raw milk cheese, fresh cheddar cheese curds, ricotta and yogurt from the goat milk. Ryals said he has seen no reduction in demand for any of his products, despite the recession. According to the National Agricultural Statistics Service, Mississippi had 27,000 goats in the state as of Jan. 1. The state’s meat goats account for 1.1 percent of the nation’s meat goat herd. Dairy goats in Mississippi account for 0.8 percent of the nation’s dairy goats.